The General Electric SSL-1, a very early green LED, was the first part number in GE's line of Solid State Lamp-branded LED indicators. Heavily packaged in a thick metal can transistor package, the SSL-1 uses a die made out of silicon carbide to produce it's dim green glow. 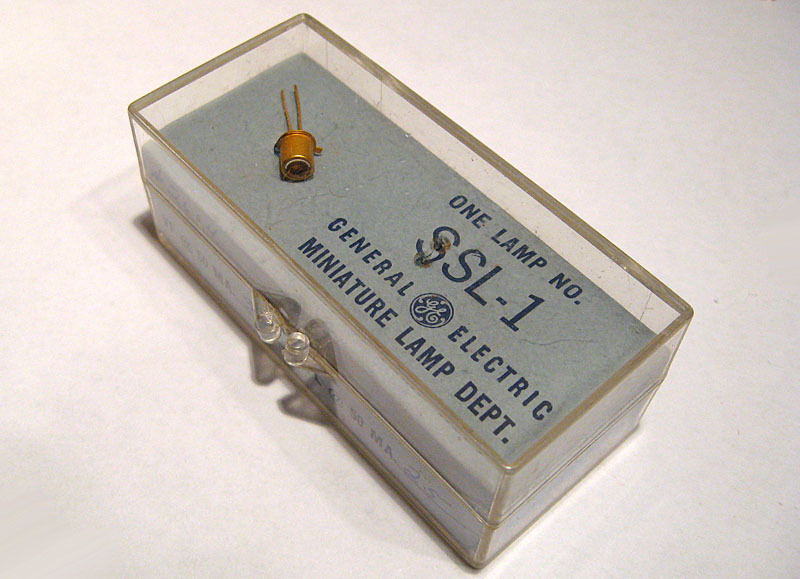 Despite the declarative "Solid State Lamp" trade name used by General Electric, the SSL-1 is only rated for .00013 MCD of light output, making it far too dim to be used as an indicator. SSL-1's were primarily intended to be used for optical position encoding or as a light source for laboratory test equipment. We have been unable to pin down an exact manufacture date for this device, but it was likely manufactured in the late 1960s in direct competition with the Monsanto's early LEDs. 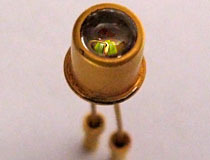 General Electric SSL-1 LED, one of the first green LEDs sold commercially. 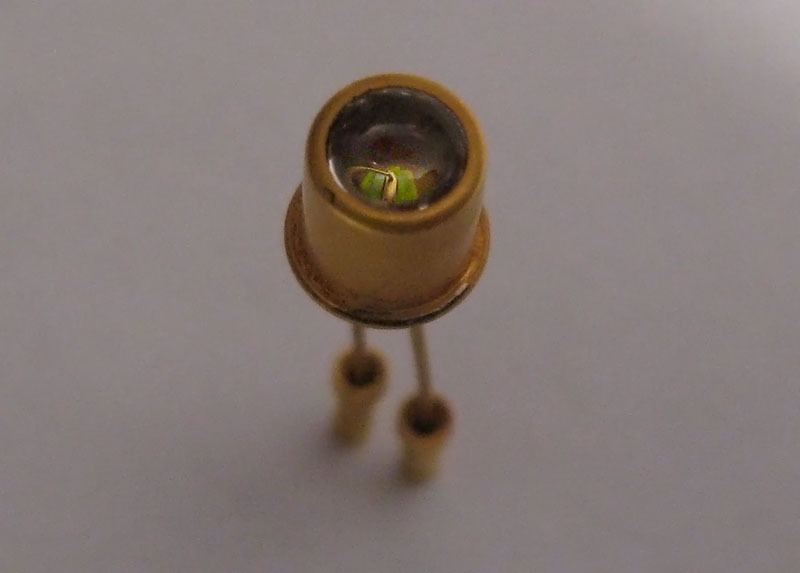 The light produced by this early LED is extremely dim. 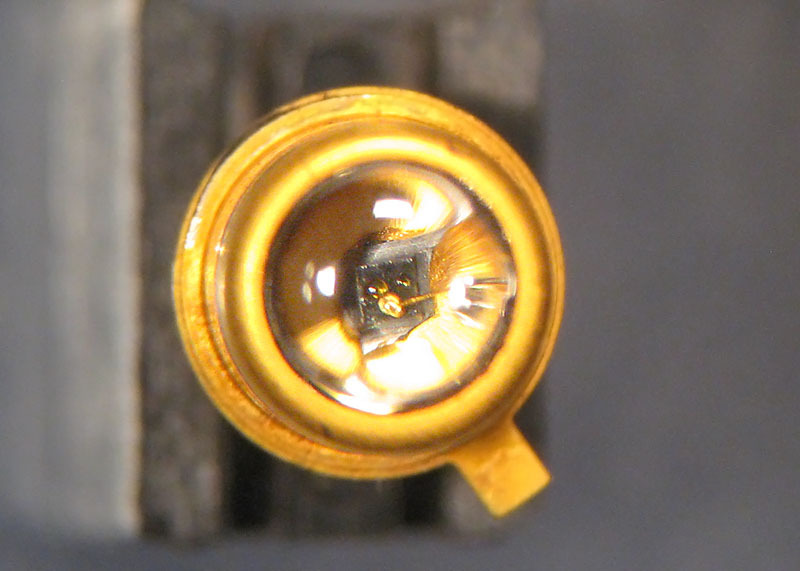 The SSL1 'Solid State Lamp' uses a die of industrial silicon carbide as a point light source. Back in the 1960s LEDs like the SSL-1 were still something special, and General Electric shipped its early devices in elaborate plastic display cases. 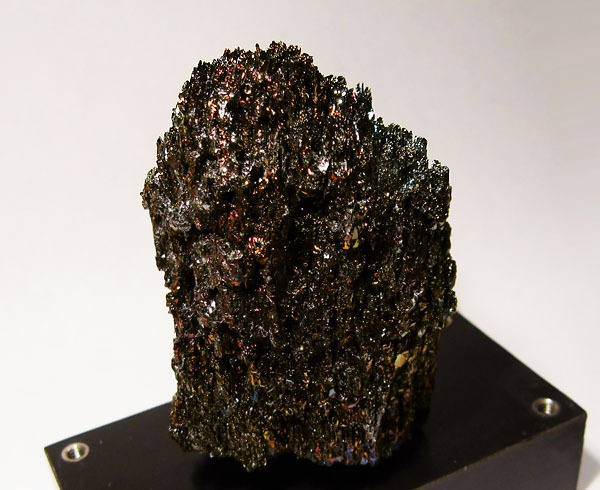 A chunk of industrial silicon carbide, similar to the type used in the the first point contact LED prototypes. Yellow light-emitting crystals can be found randomly mixed into the matrix.